Popular German magazine Gitarre & Bass has recently published the first review of the Fane Acoustics, Ascension A90 guitar speaker. 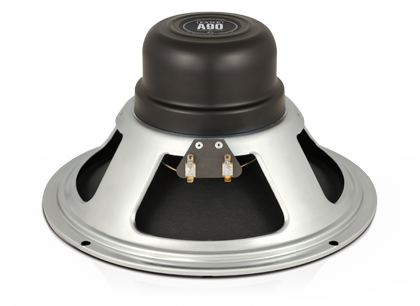 Written By David Jordan, the article features the results of an Alnico speaker comparison test that pitted the A90 against the Celestion Cream and Jensen Blackbird. In our opinion the A90 coming on top. "Frequency wise, the FANE Ascension A90 is the most versatile speaker of the test. Compared to the Celestion Cream, the bass frequency of the A90 goes a bit further down and is more flexible or less steady which adds to the detailed responsiveness - without cutting down on the general tone support. With regards to the highs, the tone range is also wider which becomes most obvious when pushed into distortion. On the one hand, the signal is more 'in-yer-face' which, on the other, can become a bit too harsh, depending on the amp and the distortion-level. The mids appear lively and straight-forward and the musical information content is quite high. All this results in an open sound spreading across the entire sound-range. Interestingly, the frequency range where one would hear the clunk of the pic is a bit reduced adding more highs to clean sounds without making it sound too hard. If that was intended - hats off!" "In turn, a thing like the buzzing of a string on the fret is also clearly transported, even though in a very musical way. And that is the general characteristic of this speaker. I've caught myself more than once waiting for what will happen when you let chords fade out. The detailing is amazing; it does not get better than this. Also in terms of dynamics - the FANE is one step ahead. If you want it crunchy and groaning - the Ascension can do it without adding harshness and if you are not pushing the highs too much. In terms of volume and loudness, it is a bit more sensitive than the Cream - responsiveness and tonal spectrum dies down a bit and the tone becomes slightly nasal."